Our Banner Weather Vane #6 is a popular new design. 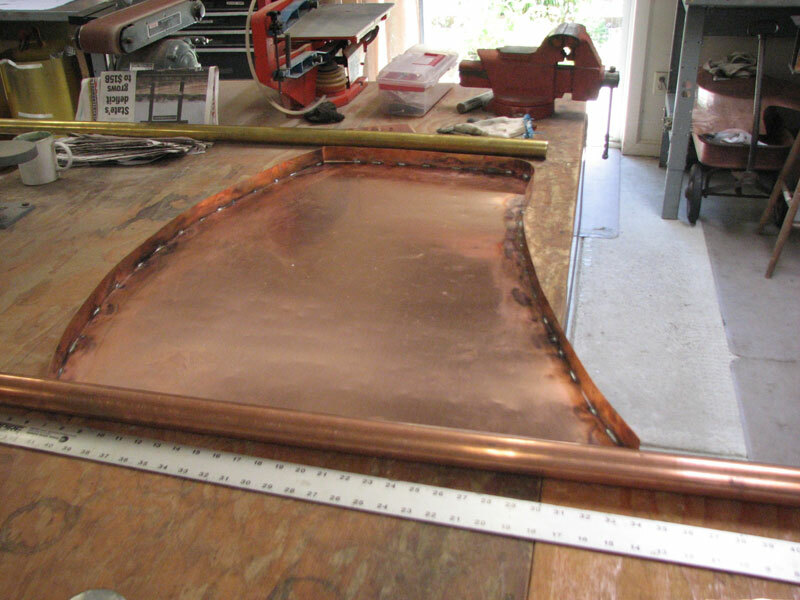 It is typically made of copper and employs box style construction, which makes it very strong yet gives the illusion of a lightweight cloth flag billowing in the wind. Because our weather vanes are crafted to order, we are able to offer optional gold leafed lettering, logos, etc. for further personalization. This banner weathervane lends itself to adding an optional logo, decoration and/or wording to it. If you are interested in getting a quote to add a special feature to your banner weather vane, please contact us. Originally,a banner was a flag or other piece of cloth bearing a symbol, logo, slogan or other message. Over time, there was a transition from cloth banners to metal banners for purposes of durability. Banner-making is an ancient craft and there is reference to hand-crafted copper banner weathervanes atop castles as early as the fourteenth century. 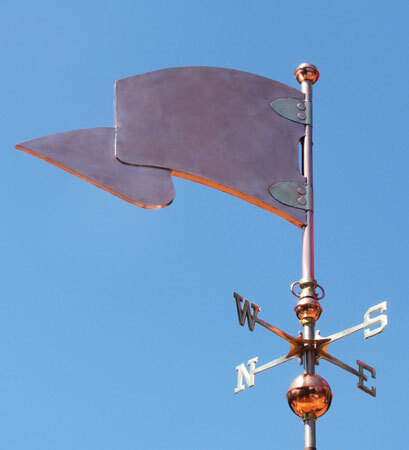 Numerous centuries old copper banner weather vanes can be seen gracing prominent governmental, civic and residentials structures throughout Europe where they are especially popular.